While the season win totals for 26 of the NBA's 30 teams have been decided, bettors await the fate of the Jazz, Thunder, Pacers and Grizzlies. Tuesday and Wednesday mark the final two days of the 2018-19 NBA regular season, and there is plenty left to be decided in the win-total market and for playoff seeding. After this past weekend's action, the Pistons hold the final remaining playoff spot left unfilled. The Hornets and Heat are one game back, and all three teams still in the mix for that spot have two games left to play. In the West, all eight spots are filled, but seedings will come down to the final day, as will the win totals for four teams in the league. While the win totals for 26 of the NBA's 30 teams have been decided, the Jazz, Thunder, Pacers and Grizzlies hang in the balance. The best Indiana (47-34) can do is PUSH 48 wins with a victory Wednesday against the Hawks. 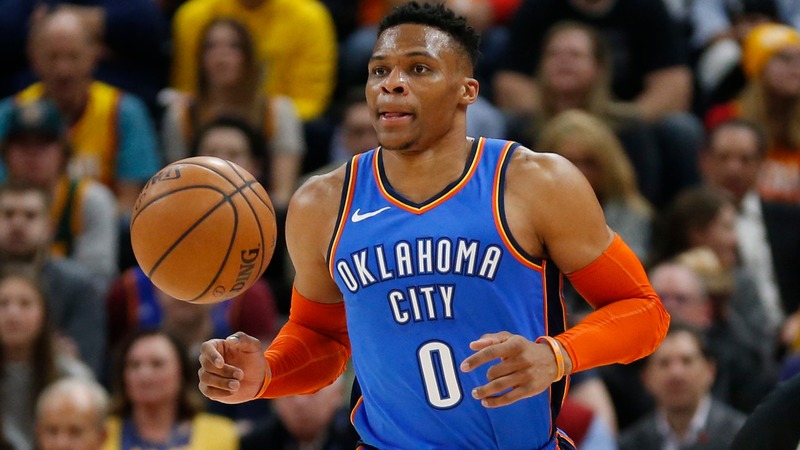 The Jazz, Thunder and Grizzlies each need to win their final two games to go OVER their win totals posted at the outset of the season at the Westgate SuperBook in Las Vegas. __Lakers next coach prop bet odds:__ [Candidates to replace Luke Walton](https://www.betchicago.com/lakers-next-coach-prop-bet-luke-walton-fired) For the Thunder (47-33; win total of 48.5), their remaining two games, a back-to-back set with the Rockets and Bucks, are key for playoff positioning. Only a half-game separates Oklahoma City, San Antonio and the Clippers for seeds Nos. 6-8. The Thunder can avoid the Warriors until the conference finals if they end up with either the No. 7 or 8 seed. With a surprising loss to the Lakers on Sunday, the Jazz (49-31; win total of 50) missed out on a chance to clinch the fifth seed. They can do so on Tuesday at home against the Nuggets, but then all signs would point to Utah resting its starters in Wednesday's finale against the Clippers, likely resulting in a PUSH for win total bettors. Unfortunately for Grizzlies OVER bettors, Memphis (win total of 33.5) has no motivation to win its final two games of the season. Tied with the Mavericks at 32-48, the Grizzlies are better off losing their final two games to maintain its slim lead over Dallas [in the draft lottery](http://www.tankathon.com/pick_odds) race. ## 2018-19 NBA regular season wins total *teams listed alphabetically within each section unless otherwise noted __Already OVER (in order of wins)__ Bucks: 60-21; total: 48.5 Raptors: 57-24; total: 55.5 Nuggets: 53-27; total: 47.5 Blazers: 51-29; win total: 42 Clippers: 47-34; total: 37.5 Spurs: 47-34; total: 42.5 Nets: 41-40; Win total: 32 Pistons: 39-41; total: 38.5 Kings: 39-42; Win total: 26 Hornets: 38-42; total: 35.5 Magic: 41-40; total: 30.5 Hawks: 29-52; total: 23 __50/50__ Jazz: 49-31; total: 50 -- two remaining games: vs. Nuggets, at Clippers Thunder: 47-33; total: 48.5 -- two remaining games: vs. Rockets, at Bucks Pacers: 47-34; total: 48 -- one remaining game: at Hawks Grizzlies: 32-48; total: 33.5 -- two remaining games: at Pistons, vs. Warriors __Already UNDER (in order of record)__ Warriors: 56-24; total: 61.5 Rockets: 53-28; total: 57 76ers: 50-30; total: 54 Celtics: 48-33; total: 59.5 Heat: 38-42; total: 43.5 Lakers: 37-44; total: 48 Timberwolves: 36-44; total: 42 Pelicans: 33-48; total: 45.5 Mavericks: 32-48; total: 36 Wizards: 32-49; total: 46 Bulls: 22-58; total: 30 Cavs: 19-62; total: 31.5 Suns: 19-62; total: 29 Knicks: 16-64; total: 27.5 __PLAY:__ Our free [Daily NBA Pick 5 contest](https://betchicago.chalkline.com/). Correctly pick five games against the spread to win a BetChicago prize pack.